Core Values are more than words. Core Values are guiding principles that rest beneath behavior and action. Our core values can be considered our internal compass; they are ingrained in who we fundamentally are and how we move through the world. Core values are also muscles, which can be flexed, toned, strengthened, and consciously exercised everyday. How do we know when our core values are in motion? Looking at our consistent habits--the actions, decisions, and choices we make day-to-day--will reveal our core values in motion. Our habits will also powerfully reveal core values we've put to rest, let atrophy, or given a holiday. Core values can help us to know how to lead and live well. They can help organizations to determine if they are on the right path to fulfilling their business goals. They create an unwavering and unchanging guide for us in leadership and life. WHICH FIVE VALUES RESONATE MOST DEEPLY WITH YOU? or something you crave to be more of, it is not a VALUE. SO WHERE IS INTEGRITY ON THIS LIST? Integrity actually isn't a value itself. 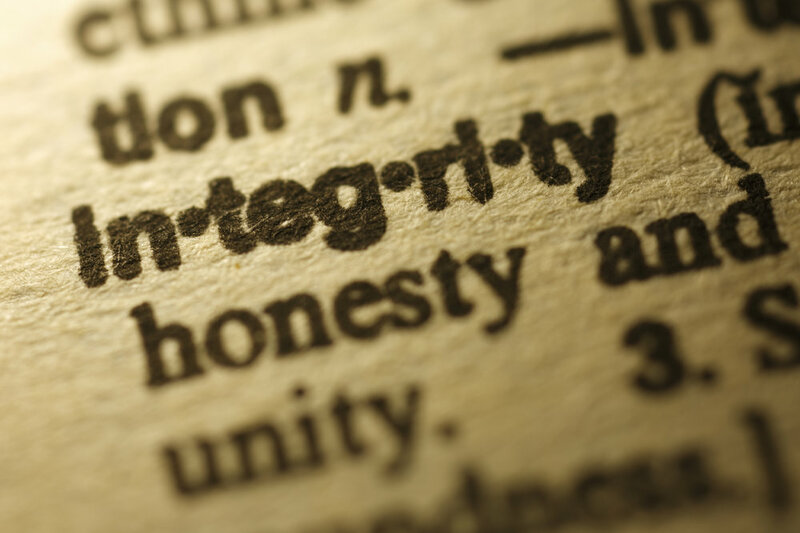 integrity is the place where each value is tested and forged. 1. Take note of all core values that resonate with you. 2. Now select the top five that resonate at the deepest level. 3. Which of your values are you able to fully express professionally and/or personally? 4. How do these values play a role in your story? 5. How do these values inform your actions and/or inactions? 6. Where do you seek to practice these values more consciously and intentionally? 7. Which values are currently transforming and evolving in you? 8. What core values, if any, do you wish to develop? 9. What's your favorite core value, your guiding principle above all the rest? 10. What did you learn about yourself as you moved through this exercise? THESE VALUES WILL BE GUIDING PRINCIPLES TO YOUR DAY-TO-DAY PRACTICE.